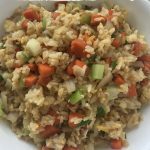 Easy Vegetable Fried Rice with Egg, we literally can make this for breakfast, lunch, dinner, and late night snacks! 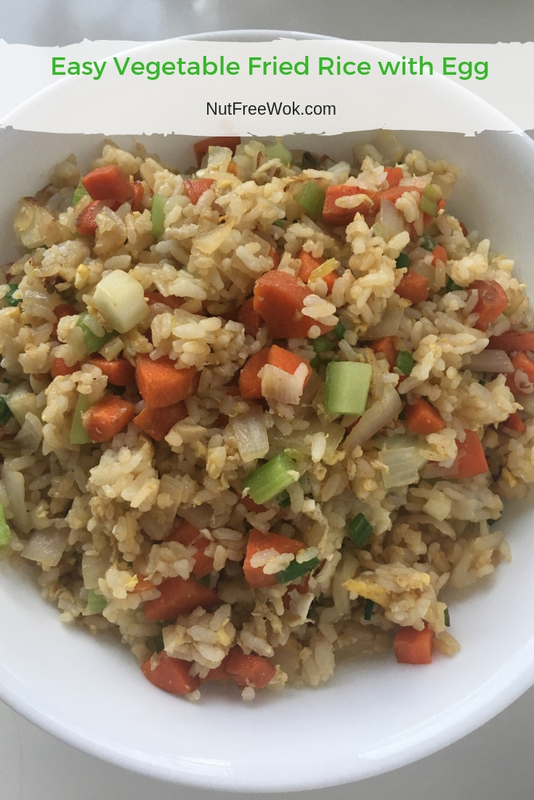 Vegetable Fried Rice is so tasty and simple to make that my son showed his friend how to make it when they were hungry at bedtime. If two teenage boys can whip this up right before bed, you can make some nut free fried rice too, easy peasy. 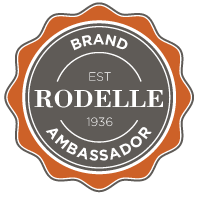 Disclaimer/disclosure: This post may have affiliate links. 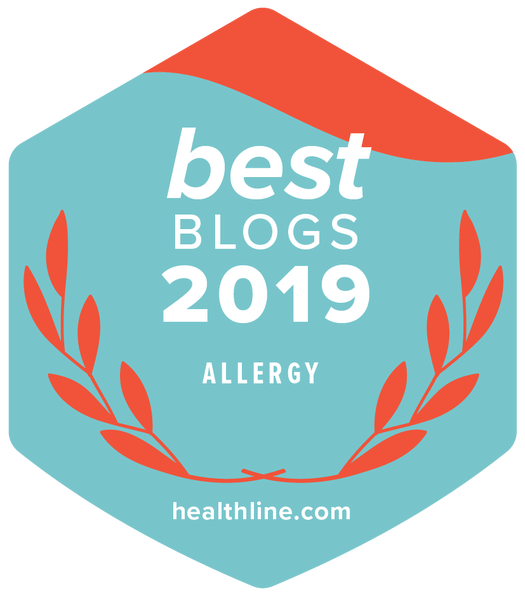 Please check that all ingredients are suitable for your allergies and be sure to ask your medical care team regarding any allergy related questions. I love being a mom to teens and having kids at my house. I took my sons and my older son’s friends out to lunch for his birthday and then they came over to our house to play games, eat Bubble Egg Waffle Sundaes for dessert. They were hungry again a couple of hours later, so I made vegetable fried rice with ingredients in my refrigerator which they loved. One friend stayed overnight at our house on a later occasion. The boys were hungry at 10 pm so my son taught his friend how to make vegetable fried rice. 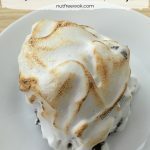 I can just picture them making late night snacks when they’re off to college next year, so this recipe has to live on the blog for future reference (hi guys!). I’m obviously a proud mama to watch my son teach his friend how to make vegetable fried rice. 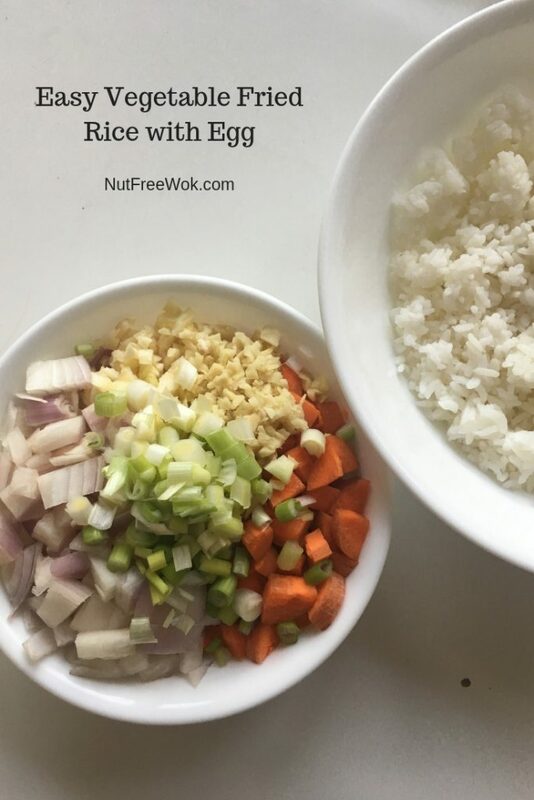 I believe that this is an easy recipe to start if you’re new to making your own nut free Asian meals. 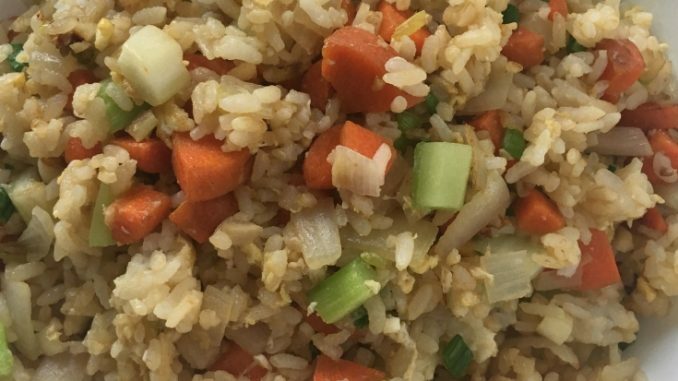 I often make vegetable fried rice for breakfast, lunch, or dinner because it’s a quick and easy one pot meal using leftovers, chopped veggies, and staples. This recipe is nut free, packed with veggies. 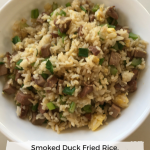 I have made it egg free for many years and just recently started adding egg to our fried rice to make it easier for my younger son to eat egg regularly in his diet and maintain his egg desensitization. We always have some leftover rice to make a basic fried rice such as Ginger Fried Rice, which has nothing but ginger and rice. My mom made it for me after I gave birth and it’s also helpful when we have tummy troubles. 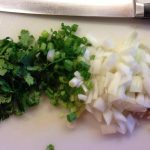 My family likes aromatic flavors such as onions, garlic, and cilantro, so if I will make an egg-free Aromatic Fried Rice. If we have any leftover chicken and extra pineapples, I would make a Chicken Pineapple Fried Rice that is beautiful and delicious. 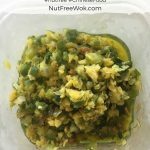 All of these recipes are nut free and egg free, but it’s easy to add an egg or two (see below). Always use leftover rice that has been refrigerated overnight. I plan ahead and make extra rice to make vegetable fried rice the next day. Fluff up your rice as you pack up leftovers to save time later. I store the rice in a container with extra room so that I can fluff it up a bit so that the rice isn’t packed in too tight or in large clumps. Add frozen corn if you don’t have enough rice. It doesn’t always work out perfectly to have the right amount of leftover rice. I know I need a minimum of 3 cups of cooked rice to make enough fried rice as a side dish for 4 people, a 1/2 to 1 cup of frozen corn can make up the difference. If I want to reduce my carbs or don’t have enough rice or I want to bulk up my fried rice with more veggies, I add 1-2 cups of finely chopped cauliflower. If you want to add a little meat to the fried rice, be sure to used cooked meat (leftover teriyaki chicken, chopped ham, rotisserie chicken, etc.) and stir fry it in at the end. You can use any vegetables you want, be sure to dice them and add them at the right times. Hard vegetables and aromatics such as onion are stir fried first. Soft, quick cooking vegetables or frozen peas, corn, mixed vegetables go in before the egg. Avoid adding leafy veggies with a lot of water content, they might make your fried rice soggy and mushy. Almost any kind of Asian rice will work, long grain, short grain, jasmine, white or brown, whatever you typically eat with your Asian meals. The main criteria is that the cooked rice is not overly soft, mushy, or porridge-like. Use a non-stick pan if you have one. I use an All-Clad non-stick frying pan (affiliate link) that is very roomy with a straight side that keeps all the food inside the pan. If you only have a stainless steel pan, be sure to preheat the pan, add oil, swirl to coat, and give the oil 30 seconds to heat up before adding any food. Stir fry like you’re making scrambled eggs that you don’t want to stick. 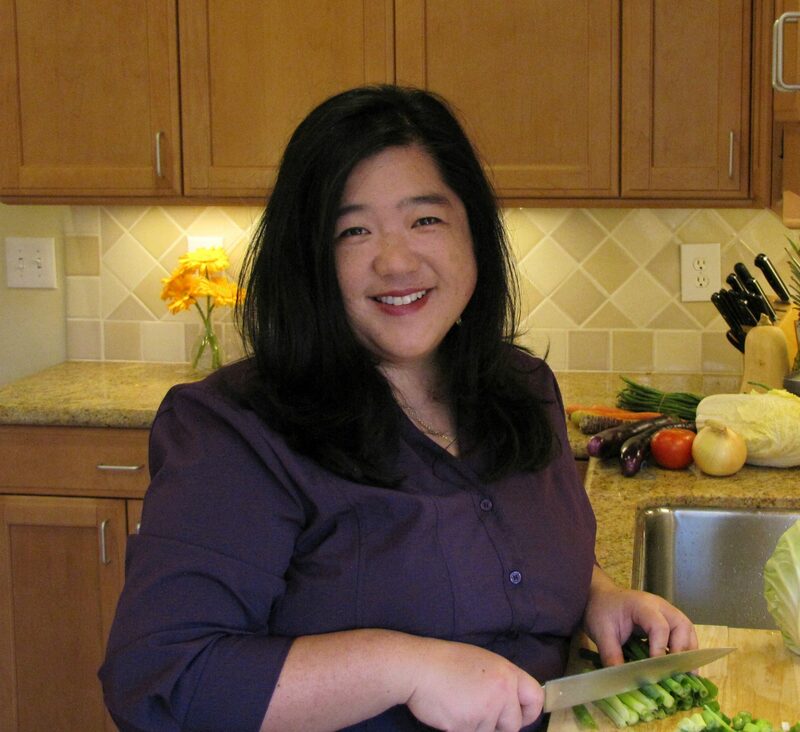 Prep ahead tip: I chop up the aromatics and carrots ahead of time, wrap it up, and when I’m ready to cook, I finish prepping the scallions and celery while heating up the frying pan. This strategy works great when you know you will be short on time. After you prepare all the ingredients for making a fried rice, there are three parts to the stir fry. You can adjust the ingredients and amounts you use according to your preference, but these are the general steps. Stir fry the aromatic ingredients (shallots, garlic, ginger, etc) and hard vegetables (diced carrots) until fragrant. Add the rice and gently loosen up large clumps of rice, push the rice to the edge of your frying pan and scramble eggs in the center. While the eggs are setting, add the soft, quicking cooking veggies (chopped celery, scallion greens), seasoning, and gently fold all the ingredients together while stir frying to heat through. This recipe is free of peanuts, tree nuts, milk, fish, wheat, and soy as written. 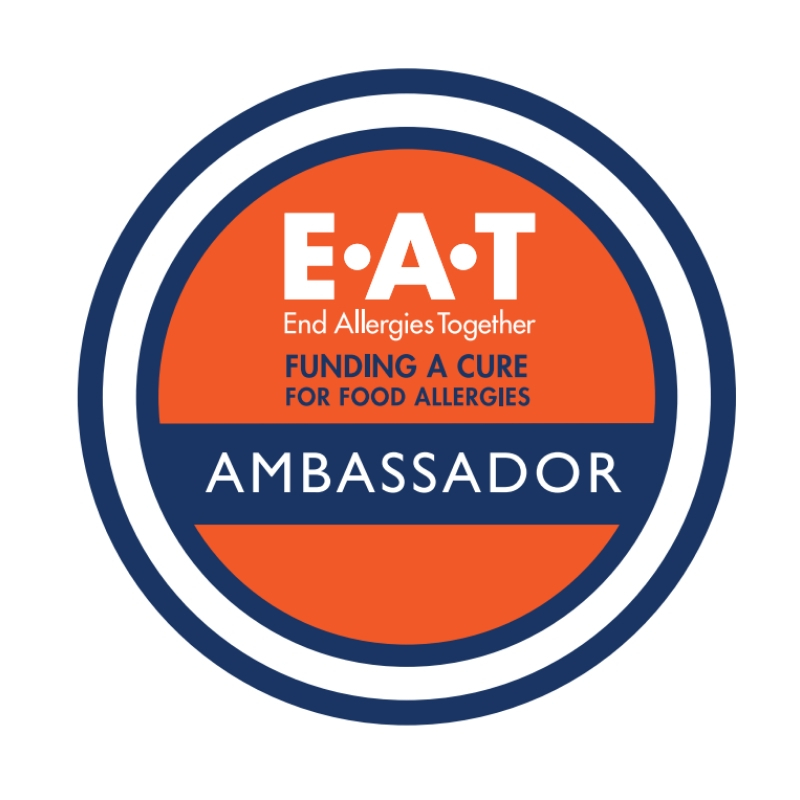 If you are allergic to egg, or sesame it is perfectly fine to omit them as ingredients and use a little bit of chopped ham, furikake, salt and finely ground white pepper or whatever you like and are not allergic to for flavor. If you are allergic to shellfish, you can leave out oyster sauce, use a small amount of soy sauce, or other soy sauce alternatives. I have tried a vegetarian oyster sauce made from mushrooms. It is a flavorful substitute but the consistency is more liquidy so add a little at a time. 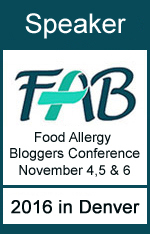 If you are allergic to soy or wheat, you can substitute with coconut aminos or my recipe for soy-free soy sauce. I have other ideas on my post about soy sauce alternatives. I recommend that you check your oyster sauce in case it contains any soy sauce or wheat. It’s very possible for oyster sauce to be made on shared equipment or shared facilities with soy sauce. If you need help sourcing ingredients, check out what’s in my cupboard for ideas that might work for you. Preheat a large non-stick frying pan over medium heat for 5 minutes until a drop of water sizzles on the pan, add oil and swirl to coat. Add carrots, shallots, scallion whites, garlic, and ginger, saute until fragrant, 1 minute. Add scallion greens, celery, oyster sauce*, and sesame oil and continue stirfrying all the ingredients together until the egg is completely cooked, the rice is heated through, and all the seasonings are mixed in, about 1-2 minutes. *If allergic to oyster sauce, use 1-2 teaspoons of soy sauce (if not allergic), or season with salt and ground white pepper to taste. I just remembered that I went on Facebook Live a long time ago to make a fried rice for my lunch. It’s not exactly the same as the recipe above, but it’s relevant enough. If you haven’t seen the video before, you can watch it to get an idea on how to make vegetable fried rice. Hi! What brand sesame oil do you use please? Is it processed in a peanut-free and tree nut-free facility? Thank you!